The Getty Center and Villa in Los Angeles reopened at 10am this morning (8 December) after three days of closure due to the "Skirball fire" raging in southern California, after some evacuees were allowed to return to their homes. An estimated 200,000 residents had been ordered to leave the area as thousands of firefighters battled several wildfires driven by powerful desert winds. The museum thanked the Los Angeles fire and police departments and its own emergency staff, while expressing concern “for our neighbours and all the SoCal residents in the affected areas”, via its Facebook account. The Getty remained closed to the public on 5, 6 and 7 December but its vice president of communications, Ron Hartwig, told the media that “the safest place for the art is right here”. 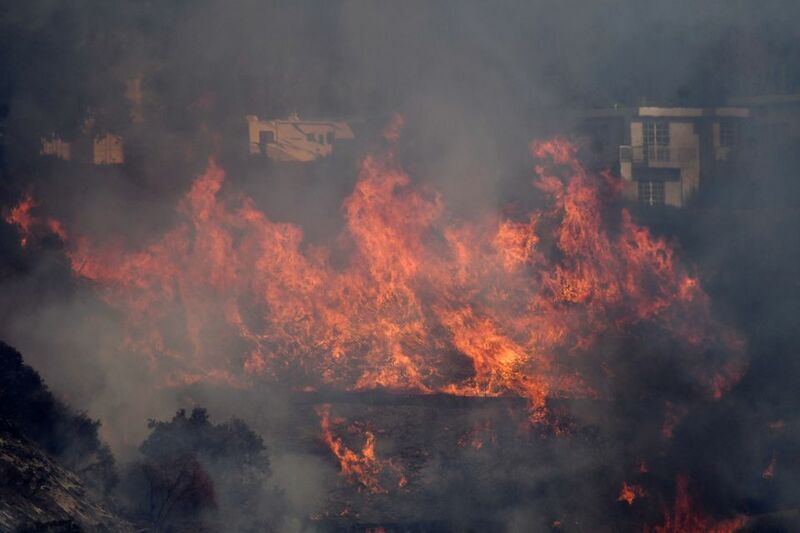 The 110-acre hilltop campus in Brentwood, which includes the J. Paul Getty Museum and the Getty Research Institute, was designed by the architect Richard Meier with various protective measures against brush fires, to which the region is prone. Plants with the highest water content are located closest to the buildings, which are made of resistant travertine stone, and the site has a million-gallon reserve water tank.